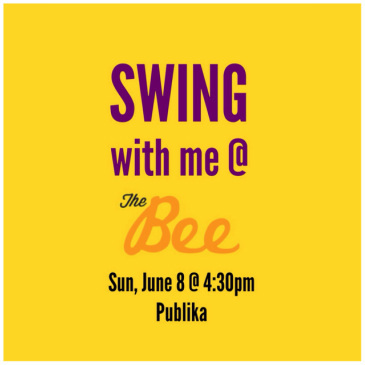 This June we'll be turning The Bee into our dance floor for one Sunday afternoon! We invite you to learn some swing dance moves with us and party to live music by the amazing Douche Manouche! Smiles and fun guaranteed, so spread the word and bring your friends to join in! :) No partner required. Bring lots of smiles and wear flat shoes or comfortable dancing shoes for maximum ease and best dance experience. Limited spaces are available. To ensure that you have a slot, please fill in your details below.